Yet another high performance "green" car has turned up and will be publicly unveiled at the Dubai Motor Show this week. This mid-engine two-seat hybrid comes from a previously unknown outfit called Kepler. The Kepler Motion packs a Ford 3.5-liter EcoBoost V6 between the cabin and rear axle and an electric motor between the front wheels in a through-the-road hybrid configuration. The EcoBoost powerplant is further enhanced to pump up the normal 365 hp to 550 hp while the motor is rated at 250 hp. Energy for the motor is packed in a lithium ion battery. Kepler is claiming the machine will run to 60 mph in just 2.5 seconds with a terminal velocity of over 200 mph. Kepler only intends to build 50 examples, but frankly we'd be surprised if more than a handful are ever built. Still, even if it doesn't meet it specs, at least this one seems a bit more plausible than the SSC Ultimate Aero EV. Kepler Motors brings us another hybrid supercar dream originally appeared on Autoblog Green on Tue, 15 Dec 2009 17:59:00 EST. Please see our terms for use of feeds. 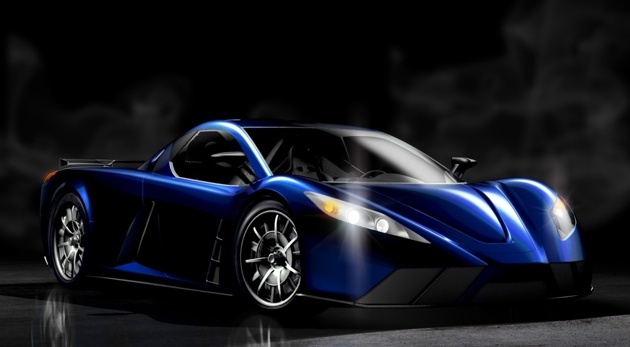 0 comments on "Kepler Motors brings us another hybrid supercar dream"